Backed by professionalism, we are offering Perlite Ore to our clients. We provide to our clients best quality perlite ore. Perlite is a generic term for naturally occurring siliceous rock. It expands from four to twenty times its original volume. We markets products for horticultural perlite, construction perlite, slag/foundry perlite, abrasive perlite and insulation world markets. Providing both expanded perlite and ore perlite. With enriched industrial experience, we have been able to offer a wide spectrum of Cryogenic Insulation Perlite. Perlit ore in 50kg packing.Size 0.8mm to 2.85 mm. Industrial applications for perlite are the most diverse, ranging from high performance fillers for plastics to cements for petroleum, water and geothermal wells. Other applications include its use as a filter media for pharmaceuticals, food products, chemicals and water for municipal systems and swimming pools. - Perlite, in its natural state, is a volcanic siliceous rock. When crushed and heated up to a temperature of approximately 930°C., it pops like “popcorn expanding from four to twenty times its original volume.The expansion of Perlite takes place due to the presence of 2 to 6 per cent combined water in Perlite Ore.
With the valuable assistance of skilled team of professionals, we are engaged in offering an extensive range of high-quality Ferro Perlite Ore.
With sincere intentions to preserve and uplift our reputation in the industry, we are offering a comprehensive assortment of Perlite Nanoclay. - Used successfully to strongly improve properties of polymers. 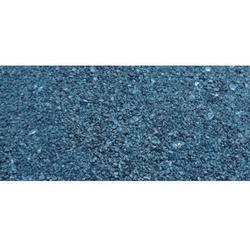 - It is an industrial mineral and a commercial product useful for its light weight after processing. Leveraging on our extensive market knowledge, we are providing a high quality range of Perlite Ore.
We are involved in offering excellent quality Perlite Ore to our most valued clients. Our offered Perlite Ore is widely appreciated by our clients which are situated all round the nation. 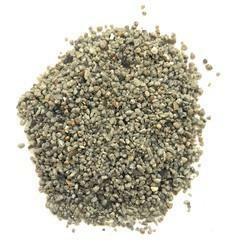 We offer Perlite Ore at most affordable prices. We are offering to our clients, Perlite Ore, which is used in sectors like construction, horticulture along with other industrial applications. The heat resistance property of this dark grey granular material makes it ideal for manufacturing refractory bricks, mortars and pipe insulation.